Finding a favorite discontinued perfume can make a great gift. Don't you hate it when you find out your perfume is now a discontinued perfume? It's hard to say goodbye to your favorite fragrance, especially when it's linked to so many positive memories and good times. With the help of a little Internet searching and ingenuity, you might be able to get your paws on a few more bottles. You wore a specific scent during a positive time in your life, like high school, college, at the beginning of a great relationship, etc. Spraying it on could take you right back. 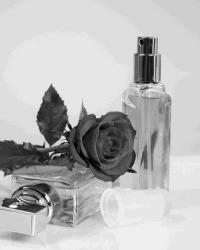 Your body chemistry has a hard time adapting well to perfumes so there are very few that smell delicious on your skin. Someone you love has a long-lost scent they reminisce over occasionally and you'd like to give it to them as a gift. Aunt Judy's Attic doesn't exactly have low, low prices, but they do have a fair selection of perfumes that may have otherwise been forgotten. Fragrance X has discontinued fragrances. Check them out to see if they have yours. They purposely send their buyers out looking for hard-to-find scents. Lost Scents is a fairly new site with promise. There are a few scents listed now, with a note on the front page that suggests more will come in the near future. Fragrance Direct may or may not have your fragrance in stock, but it's worth checking out. They often sell scents for half price. You can contact them for specific scents and be put on a waiting list in case they locate it-but you're not obligated to buy it if they do. Overstock Perfume is a professional-looking website that seems easy to navigate. It's complete with a list of new arrivals (in case you're interested while you're looking for your old favorite) on the front page and an easy search/browse mechanism over to one side (it's alphabetical). If you're looking for discontinued perfumes, they beg you to challenge them to find it for you. Score! Makeup Alley could be another solution for you, and it won't necessarily cost you much more than shipping. If another member has the discontinued perfume you seek on her swap list, you can send some of your unloved beauty products her way in exchange for the bottle. Read her user feedback before engaging in a swap. eBay.com is hit or miss when it comes to fragrances, but if they have what you're looking for listed, chances are you can score a pretty good deal. Make sure, of course, to check the seller's ratings and read the fine print on the auction page. Always make sure you know exactly what you're bidding on, down to the cost of shipping and the seller's reputation. You can still find your old favorites. Sometimes you can find perfume oils modeled after your favorite perfumes--even the discontinued ones. Since they're not straight from the designers like Dior, Chanel, Calvin Klein, or Ralph Lauren, you get the same basic scent, only cheaper. Another bonus to using the oils is, some people claim they last longer than perfumes-even through showers. Beware of getting the oils on your clothing, though, as they can stain certain fabrics. They also have non-designer scents like Egyptian Musk, Baby Powder, Nutmeg, Pineapple, and more, so you can mix up your own or wear one straight. If you can't find your favorite discontinued perfume in oil form, you may be able to mix up something that smells similar based on the notes your perfume had. If all else fails, email the company and see if they have any plans to concoct a smell-alike (and nudge them in the right direction if they don't).